Crowne Plaza Hotel Blanchardstown is offering fantastic packages for families – close to the action in Dublin. 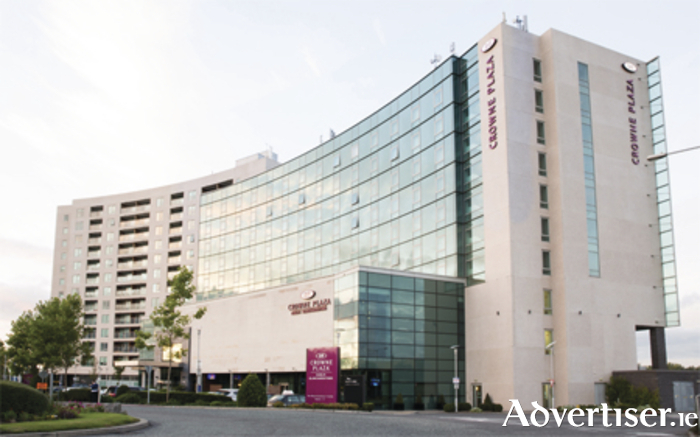 The hotel’s location is totally unique as it is situated on the doorstep of Blanchardstown Centre, Ireland’s leading shopping, leisure and retail park destination. Bring in close proximity to some of Ireland’s most popular tourist attractions, the hotel is a great base from which to explore and enjoy terrific family days out at the National Aquatic Centre, Tayto Park, or Dublin Zoo – plenty of choice no matter what the weather. The hotel offers guests an enviable choice of attractions to choose from to entertain the children during the day, but its offerings do not end there. With pizza-making for children available in the evenings in the Forchetta Restaurant, the little ones can don an apron and chef’s hat and enjoy making their own pizza, which the chefs will then pop in the pizza ovens. Mum and Dad enjoy a moment’s peace and the children are thrilled to be eating their own creations. The hotel is easily accessible from Junction 6 of the M50 and is just off the N3, so there is no need to worry about city centre traffic. Buses are plentiful from just outside their door and they can take you swiftly to the city should you fancy exploring the sights there too. For more information or to book these great offers call the hotel on (01 ) 8977777.